(iii) those word-containing cells to take-up only one column (instead of multiple columns). If you want to look around, start with Part C.
See Vid 1 which demonstrates Part A and Part B of this post. Vid 1 - Overviews Part A and Part B of this post. 1. Select the chunks of text. See Pic 1. Pic 1 - Screenshot taken at 90% zoom. 2. Press the Ctrl+C keyboard keys to copy the chunk of text. i. Click the Dash Home icon in the Launcher. ii. In the search field, type in: calc. iii. 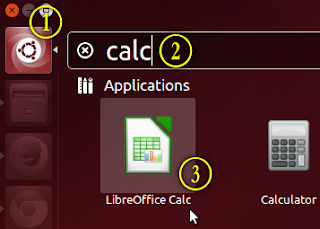 Click the LibreOffice Calc icon. 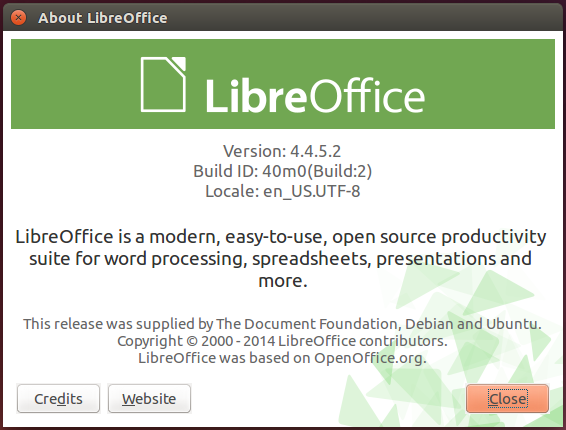 The LibreOffice Calc window will appear. See Pic 3. 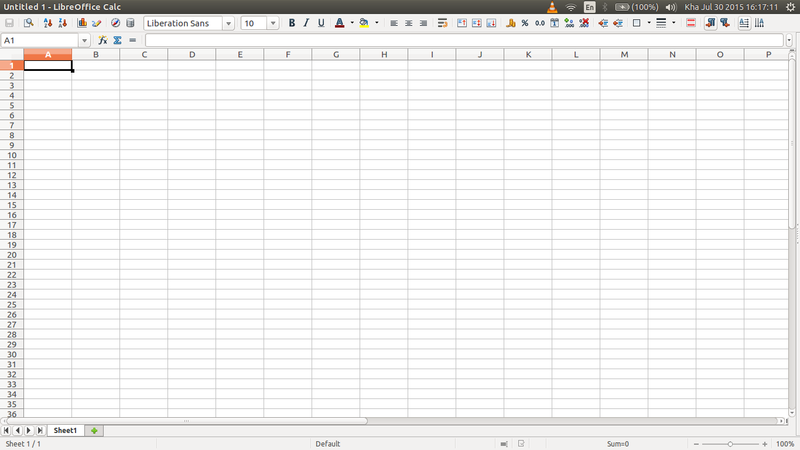 Pic 2 - Starting LibreOffice Calc. 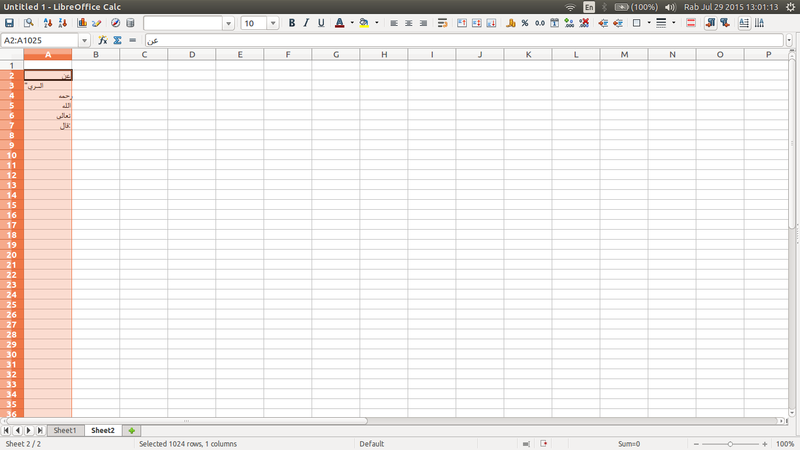 Pic 3 - The LibreOffice Calc window once loaded. 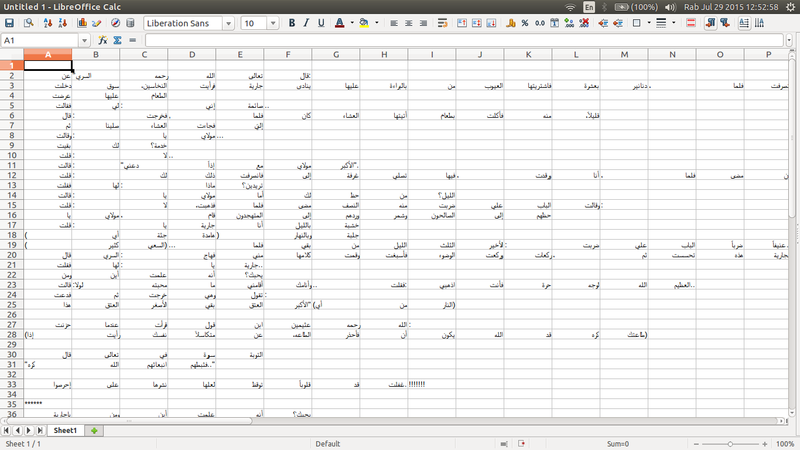 Pic 4 - The LibreOffice version. 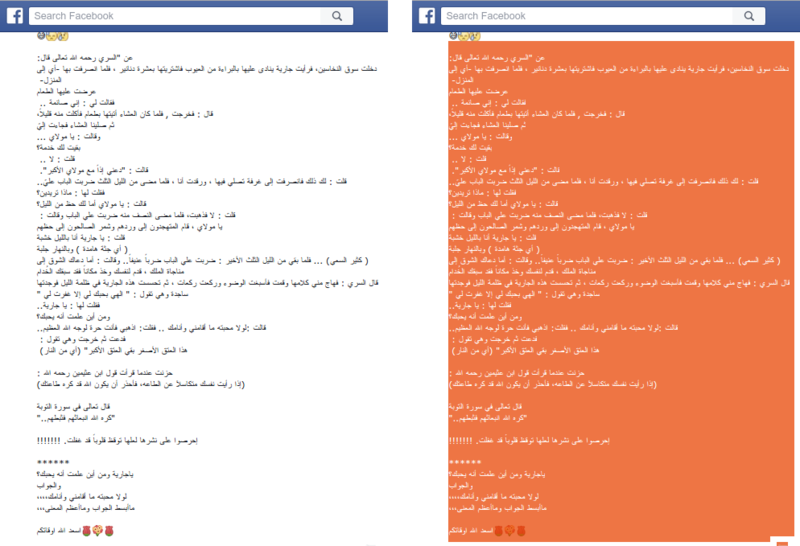 In the right-click menu, left click Paste Special... .
Pic 5 - The right-click menu. (ii) click the OK button. Pic 6 - The Paste Special dialog box. (iii) click the OK button. See how the imported text looks in Pic 8. 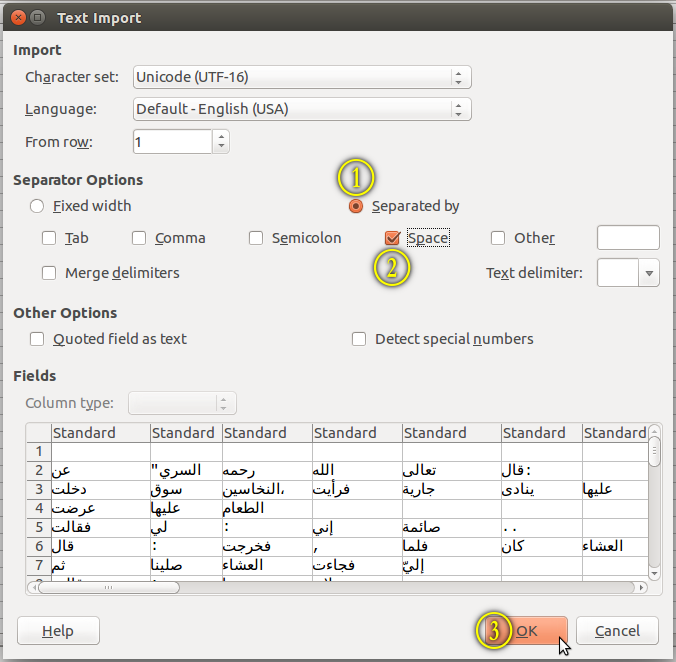 Pic 7 - The Text Import dialog box. Pic 8 - The imported text. 7. 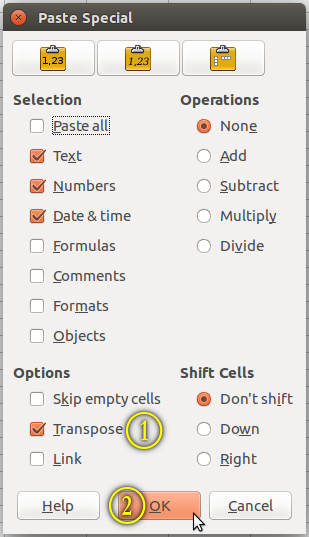 Add a new sheet by clicking the green plus icon. See Pic 9. 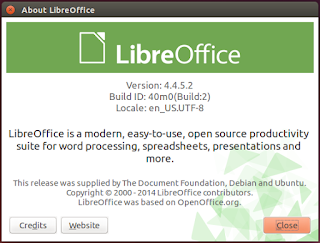 The icon is at the bottom of the LibreOffice Calc window, near to the left. See Pic 3. Pic 9 - The green plus icon icon. Vid 2 - Shows Step 8 to Step 12. 8. 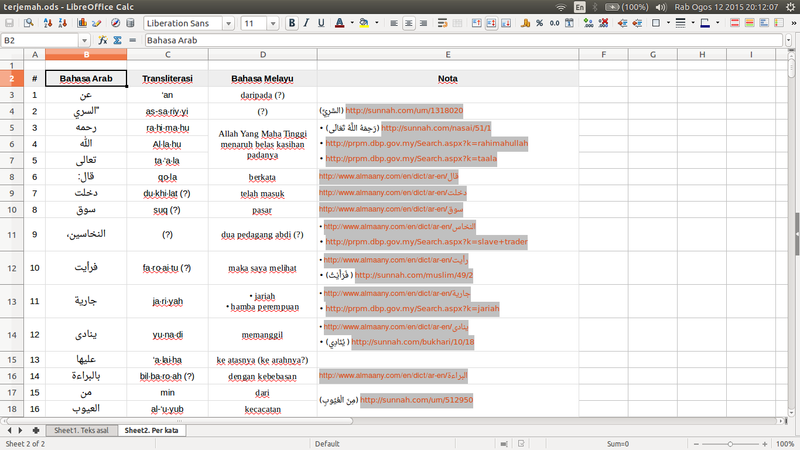 Select the first row of text from Sheet1 (the sheet you used in Step 4). 9. Press the Ctrl+X keyboard keys to cut the row of selected text. 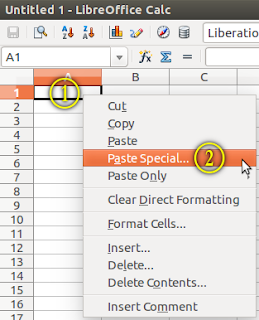 Or if you want to keep the original, you can use Ctrl+C to copy the row of selected text. As i probably don't need the original, i cut the text straightaway. 10. Go to Sheet2 (the sheet you added in Step 7). 11. 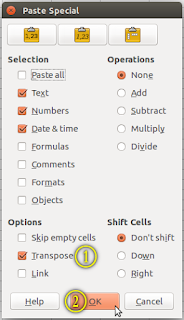 Right-click a cell where you want the text to start vertically. In my case, i want it to start from cell A2. (ii) then click the OK button. 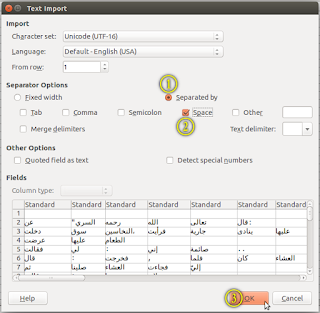 The selected text in Step 8 will be arranged vertically in column A. See Pic 11. 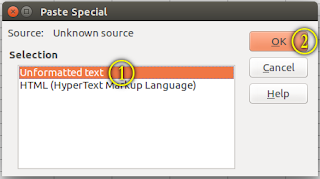 Pic 10 - The Paste Special dialog box. Pic 11 - The transposed text. 13. Repeat Step 8 to Step 12 for the rest of the text. Sorry, i don't know how to do it in one go, or automatedly. 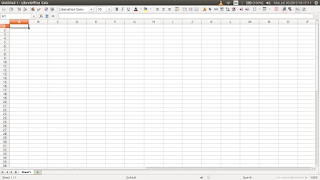 The finished work in LibreOffice Calc is shown in Pic 12. One of the page of the finished work is shown in Pic 13. The whole document is shown in PDF 1. 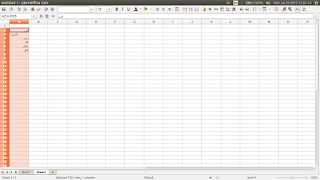 Pic 12 - Screenshot of the finished work in LibreOffice Calc. - Column A: #. Item numbering. - Column B: Bahasa Arab. 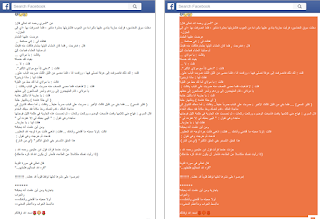 The Arabic text. - Column C: Transliterasi. 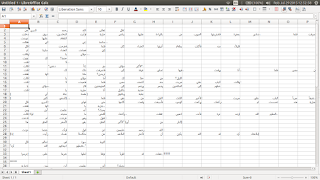 The transliteration. - Column D: Bahasa Melayu. 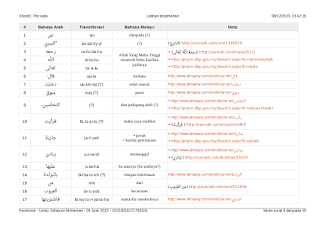 The Malay translation. - Column E: Nota. Notes. Pic 13 - One of the page of the finished work. The page was converted from PDF to PNG using GIMP. Refer to PDF 1 for the latest version of the whole document. 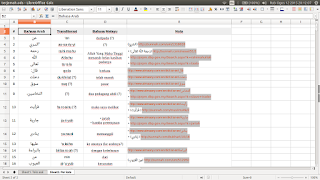 PDF 1 - The whole document of the finished work.